Canadian Shield Pavement Preservation Products Ltd. is the exclusive Canadian manufacturer and licensed distributor of SealMaster® high performance eco-friendly asphalt and concrete maintenance products. Repair, protect and beautify your driveway, parking lot, runway, street or tennis court. Our industry leading surface treatments, crack fillers, and traffic paints are easy to use, and our tools and equipment will get the job done with an emphasis on quality, safety, detail and performance. Copyright © 2014 - Canadian Shield Pavement Preservation Products Ltd. • All Rights Reserved. We are hiring - sales staff in Southern Ontario! clay stabilized asphalt emulsion bituminous surface treatment, fortified with adhesion promoters. 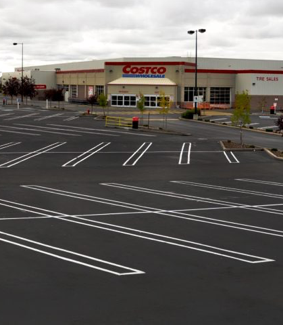 A polymer modified, fibre reinforced asphalt emulsion sealcoat that is job-mixed with specially graded aggregate and applied to an asphalt or blacktop road pavement surface.